Can a preface itself have a preface? At the risk of being hopelessly self-referential, I suppose that’s how one might characterize this post. 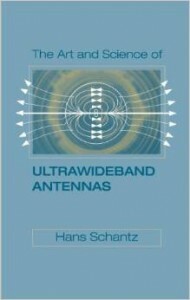 The preface to the second edition of The Art and Science of UWB Antennas follows. By way of introduction, the preface was actually the last part of the book I wrote. I was inspired to write something a bit quirky and offbeat. I attempted to emulate the sometimes sarcastic (but almost always interesting) writing style of Oliver Heaviside. Given how much of my work relies on his insights, I like to think he’d approve. In my experience, the preface is one of the most difficult sections of a book to write. What is there to say that one has not already said in the main body of the text? In fact, I usually skip prefaces when I read a book. I rarely regret the practice. Having skipped the preface, I have no idea of what I may have missed. And think about it: when is the last time a professional colleague recommended a book to you, saying it has a memorable preface? Can’t recall a recent instance? Me neither. I might recommend Kelvin’s preface to the English translation of Hertz’s Electric Waves. Now, that’s an amazingly good preface: one of the most brilliant physicists of the age explaining exactly how and why the ideas to follow in the main body of the text “will be a permanent monument of the splendid consummation now realized” []. Regrettably, I am no Kelvin, and this is not Electric Waves. And given how you can download Electric Waves for free, for this preface to alter the discrepancy in the relative value offered by the present text is a physical impossibility, no matter how clever or interesting I might be. Still, one must try. I see you are still here. Usually a mention or two of folks like Hertz and Kelvin is enough to glaze over the eyes of a certain kind of “practical” engineer, the kind who think that because Hertz included no finite-difference time-domain simulations of his antennas and lacked a network analyzer to characterize them, he could hardly have anything useful to say to a much more sophisticated modern practitioner. 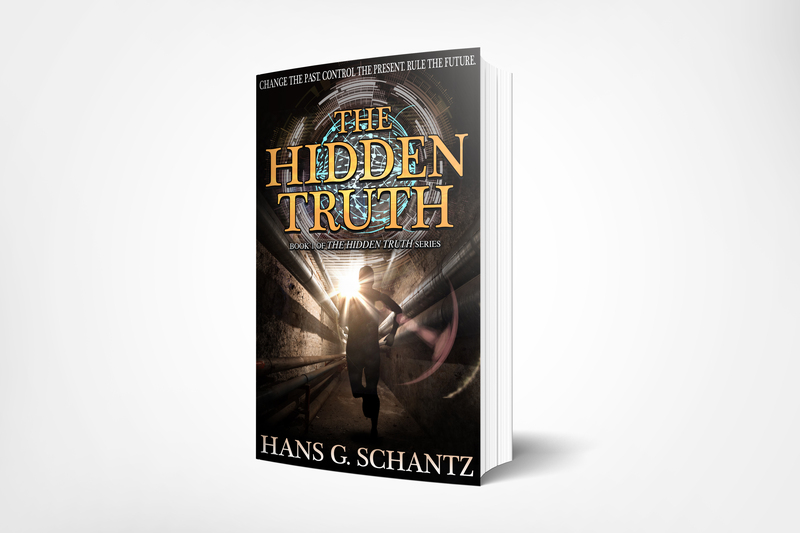 One anonymous reviewer of an early draft of this text commented that I made Hertz seem five meters tall. That feat requires no particular skill with the benefit of more than a century of distance. Oh, the reviewer didn’t mean “only” five meters tall? But try deriving the equations of the dipole fields and plotting the field lines straight from Maxwell’s original mess of equations without benefit of Heaviside’s streamlined derivation. Then, solve for and accurately plot the electric and magnetic phases in the near field. That’s the first step in understanding how small antennas really work, and it is a step I’ve never seen presented in a modern text. Try measuring the speed of light and obtaining an accuracy within a few percent, as Hertz did, using a screw micrometer gap on a resonant loop antenna to eyeball the received spark intensities, an estimate of the frequency from the inductance and capacitance of your spark gap transmitter, and a tape measure to characterize the distances between the nodes and antinodes in your standing wave. Anechoic chamber? Are you kidding? Perform the experiment in whatever space you can beg or borrow. The moral of the story is how just a little bit of profound physical understanding and insight can compensate for most any lack of state-of-the-art high-tech hardware. Perhaps you, dear reader, are the kind of engineer or scientist who can recognize that we do in fact stand on the shoulders of giants. Perhaps you understand that those giants may yet have some nuggets of wisdom to offer us. And moreover by now you’ve made it to the second page of the preface. This places your author under an obligation to identify and share some smoother pebble or prettier shell than ordinary from the shore of the great ocean of truth waiting undiscovered before us. In the first edition of this book, I included a biographical sketch and memoir of how I came to write it, a subject that will no doubt be of great and lasting interest to those few of my great-grandchildren who trouble themselves to read it. 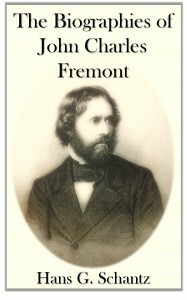 Since this second edition includes all the material of the first, only reworked, revised, extended, and improved upon, it does seem appropriate to actually omit something, so the obsessive collector of antenna and electromagnetics texts has some small incentive to hunt down copies of the first edition. You’ll note I used the singular of “collector.” Perhaps by the time of the third edition I’ll run into another and have the privilege of using the plural in that context. One pebble of wisdom I can offer you from my experience with the first edition is not to contract to write and deliver a book with a due date falling three months after your wife gives birth to twins. But, nature takes her own course in such matters, and a wise man aligns his priorities accordingly. The result was two beautiful and well-cared-for girls. And the first edition delivered on time. The less said about the latter, the better. The only prefaces I can legitimately call “interesting” are those that shed some light on the author’s thinking: a summary of the historical background or the fundamental principles that will aid the reader in integrating the diverse strands of thought to follow. Perhaps the following explanations will aid in better understanding this book. The mathematics involved in antennas and electromagnetic can be arduous at times. As we struggle to follow the intricate analyses of our predecessors and apply their formulas to our own problems we face a great temptation. Why focus on how and why the formulas came into being at the hands of their creators when it is far easier to take the formulas as revealed truths that explain certain observations or measurements? In that vice, we have the example of many illustrious predecessors. Newton painstakingly devised geometric constructions so complicated virtually none can follow them. By so doing, he crafted his laws of motion. It took Newton’s successors a generation of effort to understand the implications of his ideas and to write his laws of motion in the differential equation form we today attribute to Newton himself. A generation later, by the time of Lagrange and Laplace, Newton’s successors treated his laws as obvious and self-evident truths, divorced from the process of their creation. However, as Clifford Truesdell famously observed, conclusions that appear “simple” in hindsight are never quite so obvious before they have been made so by their discoverers []. In the absence of any better theory, Newton’s successors attributed his law of gravitation to a mysterious action at a distance. As the pioneers of electricity and magnetism made their first quantitative measurements, they cast their theories in what they perceived as a Newtonian mold. Coulomb’s force law offered an excellent analogy to Newton’s law of universal gravitation. As the interactions between charges and currents revealed themselves to the electromagnetic pioneers however, their action-at-a-distance formulas became ever more complicated. Lacking the mathematical capability to analyze and manipulate these formulas, Faraday devised an ingenious lines-of-force picture of the interactions between charges and currents. Maxwell colored in Faraday’s lines with a marvelous (if awkwardly expressed) collection of equations. Streamlined by Heaviside and elaborated upon by the likes of Lodge, Fitzgerald, Poynting, and Larmor, these equations are the foundation of the modern day practice of electromagnetic science and engineering. The brilliant notions of Poynting and Heaviside explained exactly how electromagnetic causes over there give rise to electromagnetic effects over here in precise, incremental, and continuous steps across the intervening space. Then, when Hertz caught electromagnetic energy in the act of moving from place to place, his contemporaries universally acknowledged the vindication of Faraday’s vision. Sadly, most of this is now forgotten. Some briefly genuflect in Maxwell’s direction but then apply his equations as tools to solve today’s engineering problems without regard to their derivation. Also, the use of frequency-domain methods has become virtually universal in modern practice. Heaviside’s amazing time-domain-operator approach to AC circuits survives only as a shadow within the broader Laplace transform theory. Since time-domain thinking is essential to understanding how a process begins, evolves over time, and finally ends or transitions to a successive process, it is little wonder that contemporary practice rarely tackles questions like why antennas work and how we can make them better. Frequency-domain methods are much easier than time-domain methods for solving many problems of great practical significance. That much is true. Henning Harmuth devoted much of a career to pointing out the limitations of frequency-domain thinking and the advantages of a time-domain approach to electrical engineering problems. His essay, “The Dogma of the Circle,” should be on every engineer’s and scientist’s reading list []. This book is about more than just applying time-domain thinking to problems of practical engineering interest. 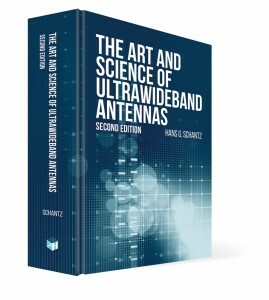 This book aims not only to show the readers how to build and analyze antennas, but also how to understand them at the most fundamental of levels. The discussions of electromagnetic energy and its propagation may not be essential to the everyday application of electromagnetic theory, but I believe they are critical to develop a deep physical intuition and to understand how electromagnetics in general and antennas in particular behave. The purpose of this text is to apply time domain analysis and energy flow thinking to the behavior, analysis, and design of ultra-wideband (UWB) antennas. A historical perspective helps enormously. First, the time domain approach aligns closely with the thinking of a hundred years ago. 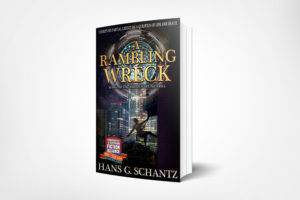 Second, as the many examples of this book demonstrate, we too often forget the work of our predecessors and waste valuable time rediscovering their contributions the hard way. 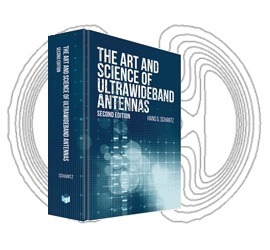 While the lessons of this book apply wonderfully well to UWB antennas, these insights may also have other applications within more traditional RF practice. A time-domain approach may aid in understanding even narrowband and time harmonic systems. Since leaving the daily practice of UWB antenna design over a decade ago, I have been working full time at Q‑Track Corporation on indoor location systems that exploit Near-Field Electromagnetic Ranging (NFER), a technique that I devised in collaboration with my colleague Bob DePierre. These systems employ low-frequency (1 MHz) long-wavelength (300 m) signals to deliver 40 cm rms accurate indoor location in cluttered, GPS-denied environments. The propagation characteristics of these low-frequency signals make the performance of NFER systems simply phenomenal. As my Q‑Track colleagues and I continue to improve upon the practical aspects of their implementation, you will be hearing more about our work. Our implementations required rethinking Friis’s propagation law and extending it into the near field. Applying energy considerations made the derivation much easier than it would have been from a frequency domain point of view. This work led to a much better understanding of small antenna efficiency and gain, and how quality factors, power factors, and energy flow intertwine to explain small antenna physics. So perhaps you too will be able to take the lessons and methods of this book and find interesting ways to apply them in applications other than just UWB antennas. The fundamental insights of this book arise from a concept I have not seen developed elsewhere. Maxwellian theory leads to a very simple, but almost entirely overlooked approach to electromagnetic energy. “Pure” electromagnetic waves comprise an equal balance of electric and magnetic energy. That balance follows from the characteristic or intrinsic impedance of the medium of propagation. For free space that ratio is 376.7 Ω. But reality is only rarely as pure as our theories might prefer to model. Schelkunoff wisely distinguished between impedance as a property of a medium on the one hand, and impedance as a property of the fields themselves on the other. As the examples of this text demonstrate, those are two different concepts. As waves superimpose and interfere with each other the actual field impedance can be infinite or zero, or anything in between. Our electromagnetic systems upset the natural balance of electric to magnetic energy in order to either receive or transmit electromagnetic waves. In this sense, all of electromagnetics is the study of the electromagnetic equilibrium, how the various superpositions and intereferences of fields we impose disrupt the electromagnetic balance, and the way in which that balance acts so as to restore itself. From this perspective, we can see the connection that eluded many of the first Maxwellians. Heaviside and Fitzgerald dismissed Larmor’s attempts to reformulate electromagnetics in terms of the action principle in the approach pioneered by Lagrangian mechanics. They did not see the connection between Larmor’s methods and the actual forces and processes of electromagnetic behavior []. They may hardly be faulted, however, because it is doubtful Larmor really grasped the practical connection either. The Lagrangian is merely the difference between the electric and magnetic energies (L = ½ ε0|E|2 – ½ μ0|H|2). Lagrangian mechanics mathematically quantifies how the changes in that balance over time and space give rise to Maxwell’s equations. A further examination of these deep foundations of electromagnetics will have to await a different venue, however. For now though, I’ll close with my heartfelt thanks that you chose to purchase and read my book instead of just downloading and reading Electric Waves for free from the Internet. Not that the two are mutually exclusive options, mind you. If you have any thoughts, comments, or suggestions, I’d be delighted to receive your feedback. Look me up at www.linkedin.com/hschantz, follow my blog at www.aetherczar.com, or send a tweet to @aetherczar. This book is much better for the contributions and suggestions made by the readers of the first edition, and I hope you’ll assist me in improving the experience for readers of the third edition by sharing your comments and corrections. [] Kelvin, “Preface to the English Translation [of Electric Waves],” collected in Hertz, Heinrich, Electric Waves, London: Macmillan & Company, 1893, pp. ix-xv. [] Truesdell, Clifford A., “The Rational Mechanics of Flexible or Elastic Bodies, 1687-1765,” in Leohardi Euler Opera Omnia, series II, vol. XI, part 2, p. 251. [] Harmuth, Henning, Sequence Theory, New York: Academic Press, 1977, p. 6. [] Hunt, Bruce J., The Maxwellians, Cornell, NY: Cornell University Press, 1991, pp. 226-228.